Is a Baseball Stadium Supposed to Be in Downtown Hartford? The City of Hartford wants to build a stadium within a $350 million development project. Some of the sites under consideration are in yellow. The effort to build a minor league baseball stadium in the city of Hartford continues. On Tuesday night, a city commission considers whether a stadium is consistent with the city's long-term planning. Lots of issues swirl throughout the debate of whether to build a new stadium just north of Downtown Hartford. Here's one: Is it even permitted by the city's zoning? 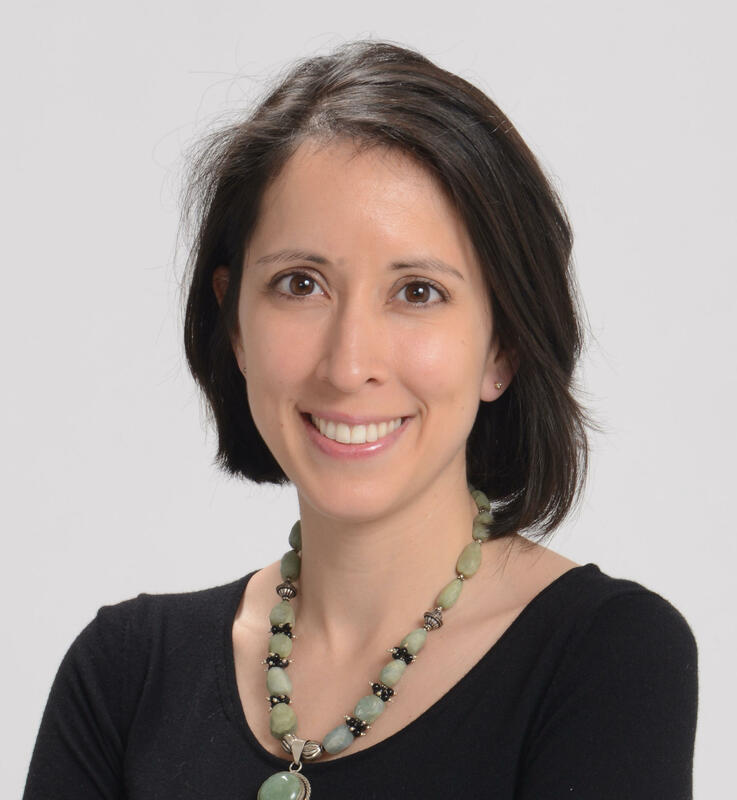 "A stadium use is not currently allowed in that B-1 Zone," said Sara Bronin, a UConn law professor who is the chair of the city's Planning and Zoning Commission. 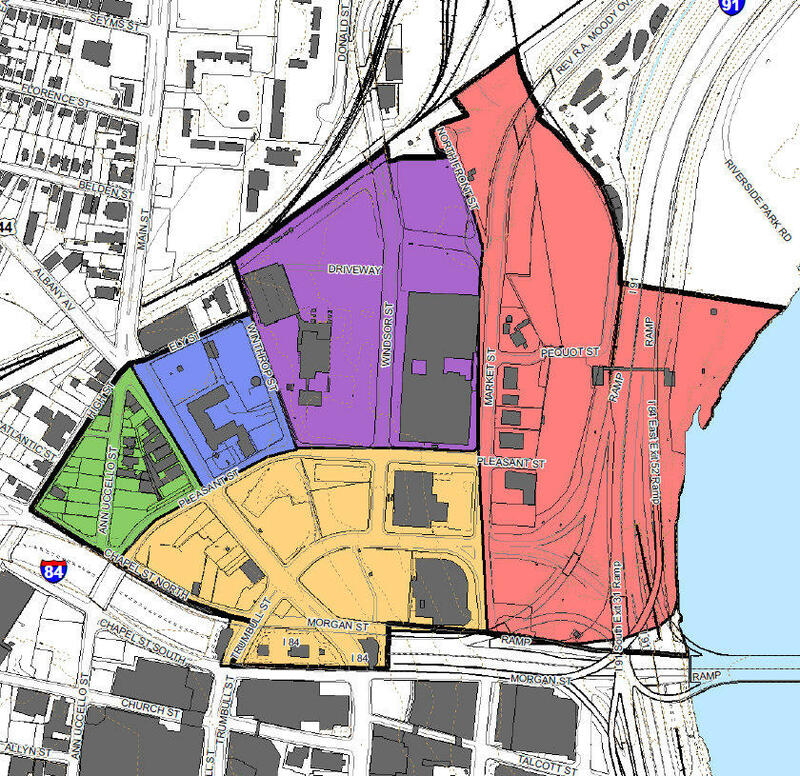 The B-1 zone includes most of downtown Hartford -- and, tonight, the city is asking the commission to vote to allow a stadium throughout that zone. "We have to be prepared to say that the stadium could be located right on Bushnell Park, which is where the B1 zone extends, all the way to Downtown North," she said. A stadium is not yet consistent with zoning. There's another question: is it in line with the city's big-picture vision for itself? "I think that will be the bulk of the discussion tonight is, to what extent is the stadium consistent with the Plan of Conservation and Development?" Bronin said. The Plan of Conservation and Development was adopted in 2010, and there's debate over whether it allows for a stadium. The plan itself refers to another document -- a 2009 redevelopment plan for the neighborhood -- which calls for a "mixed use village" where the stadium would be. That could include residential, small offices, small-scale retail, and small service businesses. But it doesn't call for a big stadium. The city argues that the stadium is in harmony with the Plan of Conservation and Development for all kinds of reasons, including that it would help create a 24/7 downtown environment. But the city may also be looking for some wiggle room. In an email to WNPR, Development Director Thom Deller says that the commission's decisions should be "guided and informed, though not mandated," by the plan. Here's how Bronin sees it: "It would be very unusual for a zoning commission...to contradict the Plan of Conservation and Development," she said. Time is short. The city says its agreement with the developers mandates that the project will have commission approval by December 1, and it would like a vote tonight. The Numbers Are In, and Hartford Says Stadium Plan Will Cost Taxpayers "Zero"
After months of debating whether the city should build a minor league baseball stadium and other surrounding projects, the question still remains: Can one of the state's poorest cities afford this? A day before a significant public hearing on whether to build a new minor league baseball stadium in the city of Hartford, Mayor Pedro Segarra has released new numbers explaining just how much it will cost. As public debate continues over whether to build a new Hartford stadium for the New Britain Rock Cats, there's this news: the club's affiliation with the Minnesota Twins is over, and it is now linked with the Colorado Rockies.